Prime Minister Binyamin Netanyahu: Stop the Demolition of Umm al-Hiran! 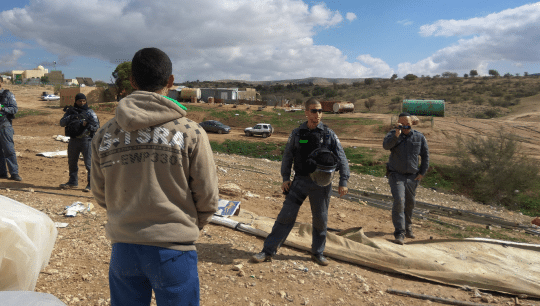 The demolition threat still hovers over the Bedouin village of Umm al-Hiran, despite the fact that the State of Israel has not reached any agreed upon solution for its residents. Please add your name to our new petition, demanding that the Israeli Prime Minister change the master plan for the planned town of Hiran so that the village of Umm al-Hiran will be allowed to remain in its place. In his role as a Special Rapporteur, Prof. Anaya filed a request to visit the Negev/Naqab but it was denied by the Israeli government. 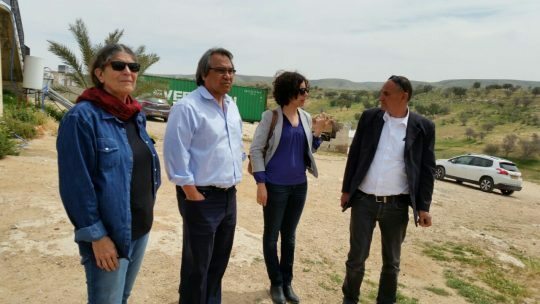 Last week, Prof. James Anaya, now former UN Special Rapporteur on the Rights of Indigenous Peoples, was finally able to visit the Negev/Naqab. Here he learnt about the ongoing struggle for justice of the Bedouin community. During his visit, Prof. Anaya met with different Bedouin leaders and activists in both recognized and unrecognized Bedouin localities. He visited Laqiya, Hura, Umm al-Hiran and al-Sirah, and was accompanied by Haia Noach, NCF’s Executive Director, throughout the day. The concluding meeting of his visit took place at Ben-Gurion University. In its annual Human Rights report the US Department of State published two full pages regarding the Bedouin community in the Negev/Naqab. Following NCF’s reporting to the State Department, large portions of our report were included, allowing for widespread exposure of the difficulties faced by the Bedouin community and the ongoing human rights violations in the Negev/Naqab. From the report: “The NCF noted the Negev was sparsely populated, with only 8 percent of the population living on 60 percent of Israel’s land, so there was ample room to establish new communities without razing existing ones”. In March, NCF joined a Diplomat’s Briefing at the Swiss Ambassador’s Residence with the Adalah Center. 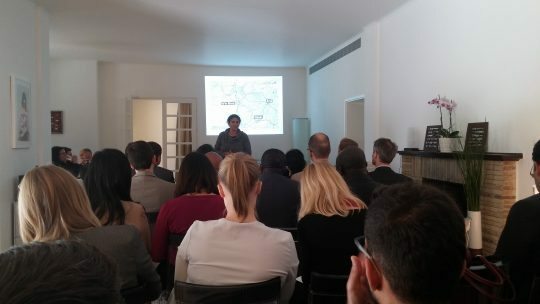 During the event, attended by representatives from a variety of embassies, Haia Noach, NCF’s executive director, presented the current situation in the Negev/Naqab and the different upcoming plans for the area. Noach showed the new plans that threaten the existence of dozens of unrecognized Bedouin villaged and explained the house demolition policy, as well as the data that reveals the inequality among Jews and Bedouin in the Negev/Naqab.